The first film I saw directed by Agnes Varda was The Gleaners and I, a documentary released in 2000. 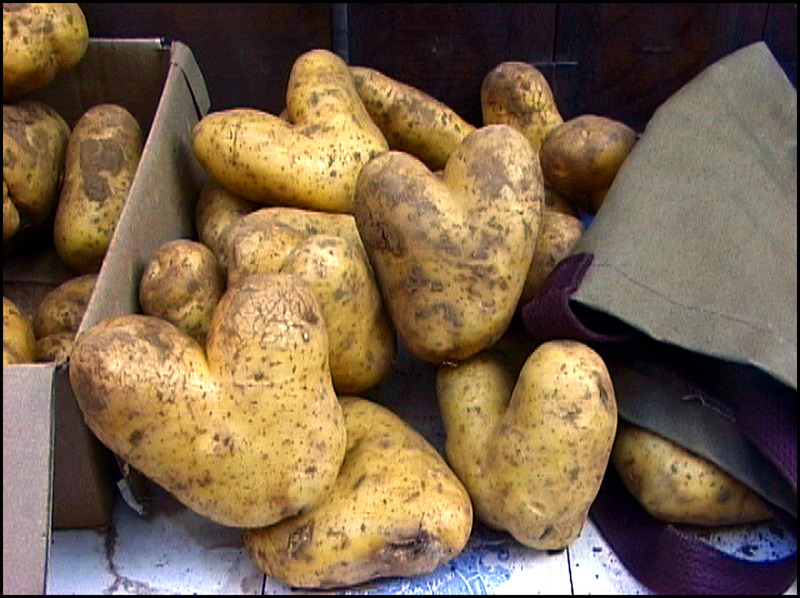 Varda talked to a variety of people who gleaned produce, junk, and materials to make a living or because they collect or hoard. I really liked the cinematography, the little snippets of Varda’s quirky life, and the way she connects with gleaners of kinds without judgment. 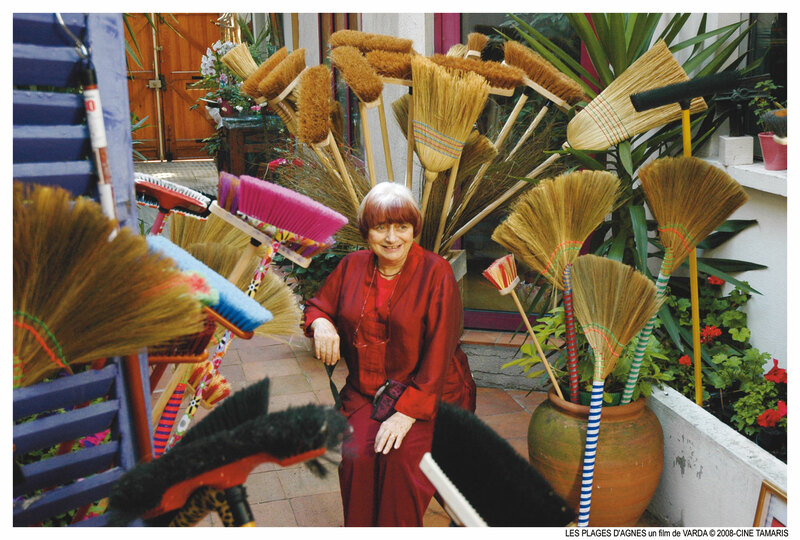 Ms. Varda started her career as a photographer and her visual sensibility is an important part of her films. La Pointe Courte was Varda’s first feature film, produced in1955. 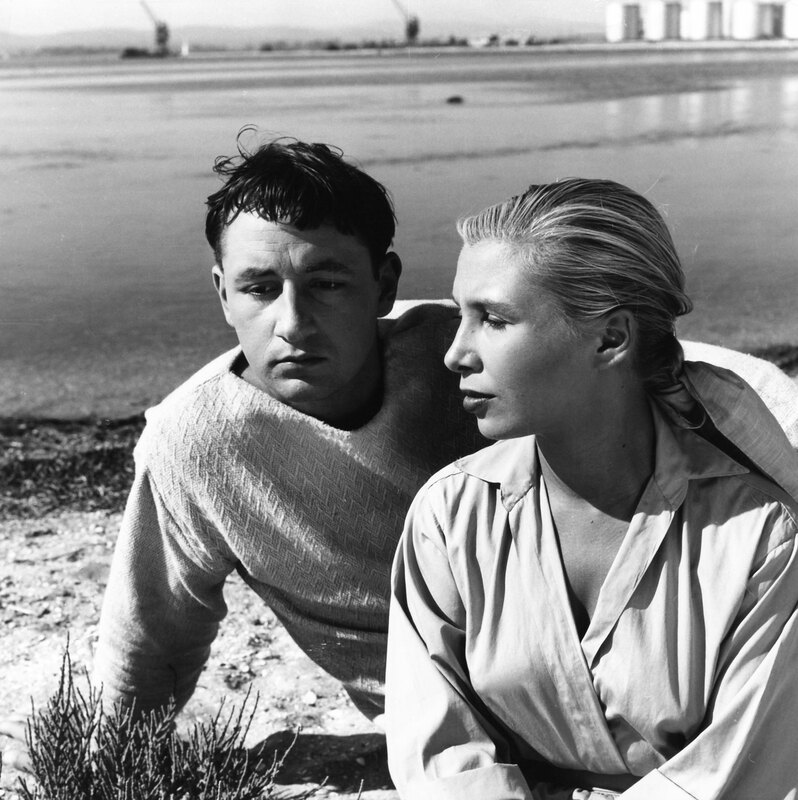 Philippe Noiret and Silvia Monfort star as a young married couple struggling in their relationship in the small town of La Pointe Courte. It’s typically French in that there are no easy answers to life’s large problems. The cinematography is beautiful. Currently she’s a Professor of Film and Documentaries at the European Graduate School (EGS). Her father was Greek and her mother was French. She studied at the École du Louvre and the École des Beaux-Arts. She then went on to work at the Théâtre National Populaire in Paris as a photographer. One of her best known works is Cléo From 5 to 7, a black and white film released in 1962. Filmed in real time, Cléo wanders through Paris while waiting for the results of a medical test she believes will indicate she has cancer. We overhear conversations in cafes, and random bits of everyday life while Cléo waits. Her most recent film was The Beaches of Agnes, an autobiography, a reflection on turning 80, and a look back on her life and art. She includes a poignant look at her late husband, Jacques Demy, a filmmaker as well. (The Umbrellas de Cherbourg) See this New Yorker snippet review of the DVD. Ms. Varda is barely visible behind the gray haired gentleman. I’m giddy. 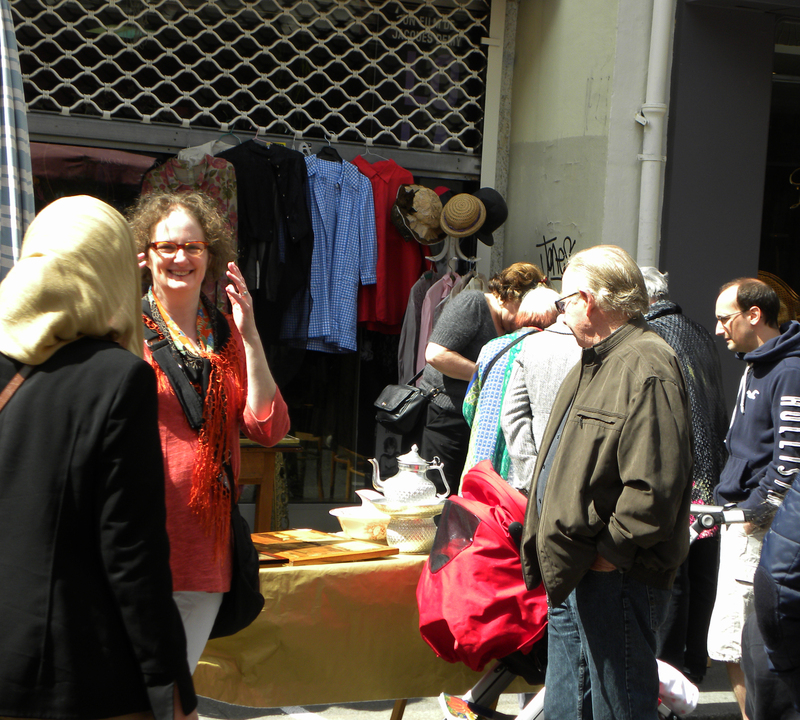 On a recent trip to Paris, my sweetie and I went to a community yard sale/junk sale (vides-grenier). I sat down at a cafe and Todd wandered along the various stalls. He was rummaging though some CDs at Cine-Tamaris when he looked up and saw Agnes Varda! He hoofed it back to the cafe to get me and we hustled back to see if she was still there. I said hello and told her how much I love her films. It was the highlight of our trip. The Criterion Collection has a number of Varda’s films available. Cine Tamaris is Varda’s company, which has descriptions of all her films. My thoughts: The aroma of this wine was very strong – I first noticed its aroma when I walked by the glass Todd had poured for me. It had slight oak undertones, with stronger scent of chocolate and flowers. The taste was good, with a bit of tannin, and a spicy finish. It’s a bit dry, and went really well with my dinner, which was artichoke cheese ravioli from Pastaworks with garlic and olive oil. 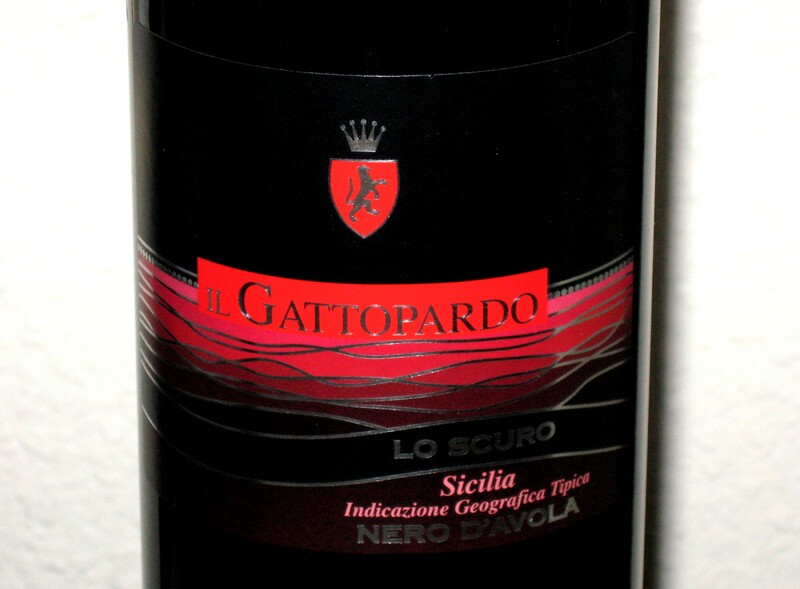 I liked the name of this wine, Il Gattopardo, which reminds me of Luchino Visconti’s 1963 movie of the same name. It’s a wonderful period piece that shows the decline of the aristocracy and the uprise of the bourgeoisie. Gattopardo means leopard in Italian.